I read this to be very interesting, thought it might be something for you. 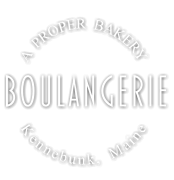 The article is called Sitemap – Boulangerie Bakery Kennebunk and is located at http://www.aproperbakery.com/sitemap-boulangerie-bakery-kennebunk/. Below you will find a listing of the pages on Boulangerie’s Website. If you have any questions or you cannot find what you are looking for, don’t hesitate to contact us.